MEXICO CITY – Mexico’s National Center for Disaster Prevention said the Popocatépetl volcano has erupted multiple times, spewing ash and burning rocks into the air. 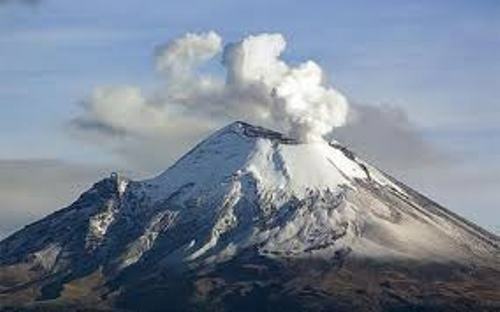 The disaster prevention center, or CENAPRED, Monday afternoon said Popocatépetl erupted four times in the previous 24 hours, had 73 volcanic plumes and had two volcano tectonic earthquakes — measuring in magnitudes 1.2 and 1.6, respectively. Popocatépetl is about 43 miles southeast of Mexico City. CENAPRED in March raised the environmental alert level to the second degree out of three, meaning nearby residents should be prepared to evacuate. “The CENAPRED urges you not to approach the volcano, especially the crater, due to the danger of falling ballistic fragments,” CENAPRED said in a statement.